of material on the subject of Mythology. 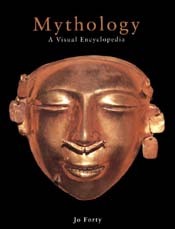 "In this fascinating and authoritative encyclopedia, scholarly contributors use more than 500 color photographs, maps, and artifacts to describe the myths of Egypt, the Middle East, India, China, Tibet, Mongolia, Japan, Greece, Rome, the Celtic lands, Northern and Eastern Europe, the Arctic, North and South America, Mesoamerica, Africa, Australia, Oceania, and Southeast Asia." "A comprehensive and comparative survey of the myths of nineteen cultural regions." "The great myths of the world give meaning to the fundamental events of human existence--birth, death, conflict, loss, reconciliation, and the cycle of the seasons. Developed with this comprehensive view in mind, World Mythology is an authoritative exploration of the most important mythological traditions, superbly illustrated with over 500 photographs, maps, charts, and line art." "A sweeping anthology of myths, ranging from ancient Egypt and Greece to the Polynesian islands and modern science. A particularly fine one-volume work that not only draws from a wide variety of sources, but also puts them in a comparative context." 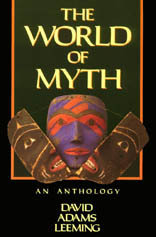 "In The World of Myth, Leeming provides a sweeping anthology of myths, ranging from ancient Egypt and Greece to the Polynesian islands and modern science. We read stories of great floods from the ancient Babylonians, Hebrews, Chinese, and Mayans; tales of apocalypse from India, the Norse, Christianity, and modern science; myths of the mother goddess from Native American Hopi culture and James Lovelock's Gaia. Leeming has culled myths from Aztec, Greek, African, Australian Aboriginal, Japanese, Moslem, Hittite, Celtic, Chinese, and Persian cultures, offering one of the most wide-ranging collections of what he calls the collective dreams of humanity." "He has organized these myths according to a number of themes, comparing and contrasting how various societies have addressed similar concerns, or have told similar stories. In the section on dying gods, for example, both Odin and Jesus sacrifice themselves to renew the world, each dying on a tree." Illustrated Dictionary of Mythology: Heroes, Heroines, Gods, and Goddesses from Around the World. "The Illustrated Dictionary of Mythology covers more than the usual Greek and Roman pantheons, revealing the mythos of major cultures from around the globe--Japan, North America, India and Australia, just to name a few. Divided into geographic regions, every page is packed with descriptions of deities and their exploits, and accompanied by vivid paintings, drawings, and full-color photographs of powerful artifacts that forge a tangible link to the myths and their culture." "Organized by geographic region and with characters from the same stories and episodes grouped together, this book is an excellent reference tool for mythology experts as well as beginners. Legendary heroes appear together with their adversaries to set each myth in context, as do gods and goddesses of the underworld and mythical beasts. Perfect for families and essential for visits to art galleries and museums. Over 2,000 specially commissioned artworks, authentic artifacts, and famous paintings. Complete and comprehensive index and cross-referencing. " 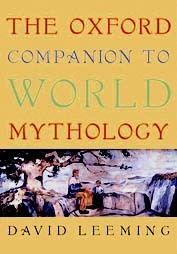 "In The Oxford Companion to World Mythology, David Leeming explores the role of mythology in history and determines that the dreams of specific cultures add up to a larger collective story of humanity. Stopping short of attempting to be all-inclusive, this fascinating volume will nonetheless be comprehensive, opening with an introduction exploring the nature and dimensions of myth and proposing a definition as a universal language. 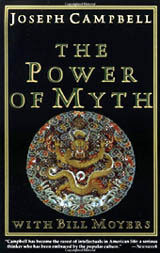 Briefly dipping into the ways our understanding of myth has changed from Aristotle and Plato to modern scholars such as Joseph Campbell, the introduction places the concept in its present context and precedes articles on influential mythologists and mythological approaches that appear later in the Companion. The Companion also locates myth in our lives today, relating it to language patterns, psychology, religion, politics, art, and gender attitudes." 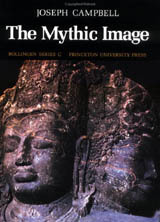 "The main body of Leeming's work consists of A-Z entries covering all aspects of mythology, including substantial essays on the world's major mythological traditions (Greek, Native American, Indian, Japanese, Sumerian, Egyptian), mythological types and motifs (Descent to the Underworld, the Hero, the Trickster, Creation, the Quest), mythological figures (Odysseus, Zeus, Osiris, Spider Woman, and Inanna) as well as numerous interrelated subjects such as fairy tales and legends." "Many of the better-known and more significant myths are vividly retold in this volume that is illustrated with maps, more than 70 black and white images, and eight pages of color highlighting the central role art has often played in the transmission and perpetuation of myth. Following the entries, a rich section of appendices include family trees of the major pantheons, equivalency charts for the gods of Greece and Rome, Babylon and Sumer, as well as other traditions, an extensive bibliography, and an index." 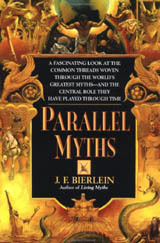 "A religious scholar and lifelong student of mythology, Bierlein has done an outstanding job both in tracing the parallel themes of world mythology and then gathering a wealth of information vital to understanding their importance. He recaps not only the well-recognized Greek and Roman gods but also the lesser-known Norse, Indian, Chinese, Native American and Oceanic gods, detailing fascinating similarities among pantheons. Bierlein weaves spell-binding tales through his examination of creation myths, flood myths, tales of love, morality myths and myths of heroes and the underworld. After providing examples, Bierlein ends with a look at how to interpret parallel myths and modern questions of faith and the legitimacy of the supernatural." "Bierlein introduces and compares myths from many cultures and suggests how we may interpret them to make sense in our world today. Various creation accounts, flood myths, mythological love stories, morality myths, legends of the underworld, and visions of the apocalypse are all sensitively retold in this landmark introduction to mythology." "Forty organizes this survey of mythology by region: Egypt and the Ancient Middle East; India and Sri Lanka; China, Japan, and Southeast Asia; Europe; the Americas; Africa; and Oceania. Each section opens with a brief survey of the culture as a backdrop to that region's mythology and continues with a longer 'A-Z Codex' of the gods, goddesses, heroes, and tales significant to each mythology. As the title implies, its strength lies in its visual impact; every other page is a stunning, full-size photograph of a related site or artifact." 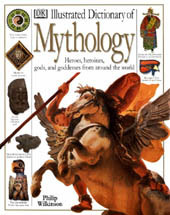 "Illustrated with a wealth of artwork and photography of archeological treasures--masks from the Iroquois, a Spartan theater, depictions of Celtic deities--this visual encyclopedia introduces you to hundreds of timeless characters and transports you into the magical legends of the classical Mediterranean countries, as well as those from Scandinavia, India, China, the Americas, and others." 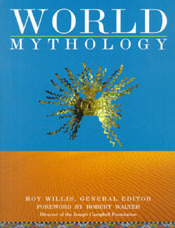 "In addition to surveying mythology's symbolic depths, and giving an overview of the diversity and similarities of these tales, individual geographical sections cover the major world cultures and detail alphabetically their gods and goddesses; heroes and heroines; monsters and villains; achievements and adventures, and trials and travels." "Here retold in all their original dramatic power are some of the most exciting and influential of all world myths, drawn from a fascinating range of ancient cultures. Epic struggles and heroic adventures, passionate jealousies and psychological deceptions, comic mistakes and tragic destiniesthese fabulous tales are all part of our common legendary past." Roman Myths by Jane F. Gardner, University of Reading, U.K.
Norse Myths by R. I. Page, University of Cambridge"
"Linking these supernatural worlds is a new introduction from the award-winning writer Marina Warner. In addition, there is a specially compiled glossary giving brief definitions of the mythical characters and creatures whose traditions have contributed to our own legendary past." See also The "Legendary Past" Series on Mythology. Inca Myths by Gary Urton, Harvard University"
"Linking these supernatural worlds is a new introduction from the award-winning writer Felipe Fern�ndez-Armesto. There is also a specially compiled glossary that gives brief definitions of the mythical characters and creatures whose traditions have contributed to our own legendary past." "This extraordinary best-seller is a brilliant evocation of the noted scholar's teachings on mythology." "Based on a six-part PBS television series hosted by Bill Moyers, this classic is especially compelling because of its engaging question-and-answer format, creating an easy, conversational approach to complicated and esoteric topics. For example, when discussing the mythology of heroes, Campbell and Moyers smoothly segue from the Sumerian sky goddess Inanna to Star Wars' mercenary-turned-hero, Han Solo. Most impressive is Campbell's encyclopedic knowledge of myths, demonstrated in his ability to recall the details and archetypes of almost any story, from any point and history, and translate it into a lesson for spiritual living in the here and now." "This beautifully illustrated book puts together Campbell's views on myth as manifested through art. Organized around the theme of the world-as-dream (from Hinduism to Finnagan's Wake), it discusses several universal motifs in art/myth (the virgin birth, the world axis, & the death and resurection of the hero) and gives Campbell's explainations for their commonality." There are six major sections to the book: The World as Dream; The Idea of a Cosmic Order; the Lotus and the Rose; Transformations of the Inner Light; the Sacrifice; and the Waking.